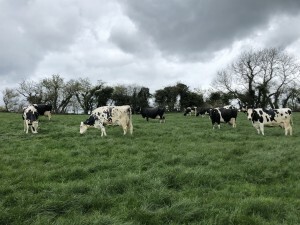 On Wednesday 3rd April the cows at the South West Dairy Development Centre went out to graze for the first time since arriving at Beard Hill last May. 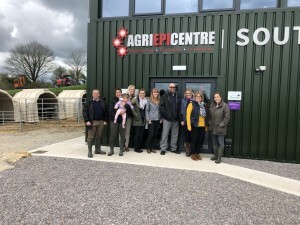 With one of the main objectives of the Dairy Centre to integrate robotic milking with precision grazing – this was a hugely momentous occasion, which saw a visit to the centre by all the Kingshay Team. Soil health is key to crop yields and quality – but it relies on a complex balance between biological, chemical and physical factors. Whilst best practice to manage soil physics (soil structure) and the basic chemistry (nutrients) are well documented, soil biology is often neglected. This Soil Biology - an introduction dairy insight is the first of two publications that together provide a comprehensive guide to understanding more about the importance of soil biology and discusses steps that can be taken on farm to improve biological soil health. With forage larders bare on many farms, optimising the production of quality grass silage, across all cuts is even more vital this season. With that in mind, it’s worthwhile giving yourself a refresher of things to consider following first cut; whether it’s forage budgeting, silage making strategy or fertiliser regimes. Renovated swards typically yield 33% more in the first year and 10% more thereafter, compared to leys over 5 years old. Best practice suggests reseeding 10 to 15% of the farm each year. 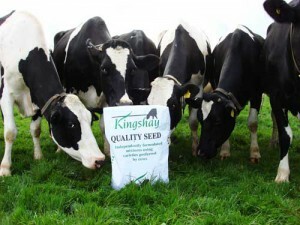 For the average 200-cow herd this is likely to equate reseeding 25 to 30 acres a year. DAIRY insight users will save over £100 on this acreage (savings of over £4/acre) plus there is an additional 5% discount for orders over 25 acres.